Pet Grooming is done with style with the help of Professional Groomers. Take your pet to the nearest Grooming Salon for a happy hair cut and give them a picture perfect look. Grooming Salons plays a vital role in keeping good hygiene and health in your pet. Unlike the grooming which is done at home, Professional Groomers at the Salon has a wide range of tools and techniques to offer the best cleaning possible. They have enough expertise in cleaning the pet without causing them problems like skin irritation and scratching. They are also equipped with the best shampoos and disinfectants approved by veterinarians which can eliminate ticks and fleas and also give the pets a healthy and shiny look. They observe the slightest of indications of skin problems and can help owners to rectify it immediately. Cats and dogs need at least one nail trimming a month. Cutting the nails of pets at home is a little bothering to the owners as pets often tend to twitch their paws in the process. This can get their nails trimmed too short or may cause them cuts. Professional Groomers know how to give a safe and precise trimming and also respond well to your pet’s behaviour. 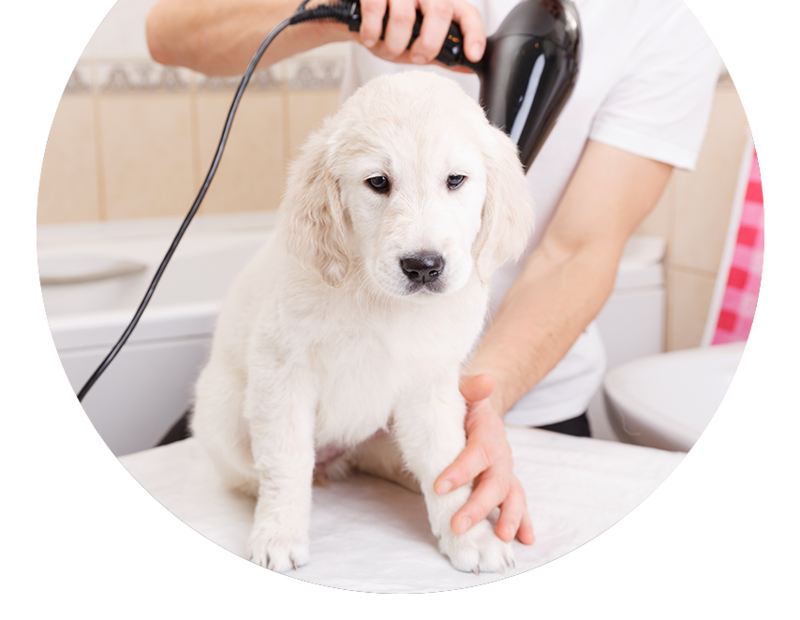 Groomers at the salon can identify the smallest of parasites which often goes unnoticed by the owners. They check ears, paws and limbs for ticks and fleas and eliminates it right away. Why Should Pet Owners Get Their Pets Professionaly Groomed? Professional Groomers have the right tools approved by veterinarians which pave way for perfect grooming of your pet. Groomers at the Salon offer a hassle-free nail trimming as they know the right length of the trim and are also trained to respond to the behaviour of the pets in a safe and friendly way. Professional Groomers are experts in detecting the presence of external parasites in the skin preventing many potential infection and allergies. They are aware of the muscle groups of the pet and offers a relaxing and soothing massage, stimulating their overall circulatory system. Professional Groomers provides valuable tips related to the diet and normal grooming of the pet which can prove highly beneficial for your pet’s health.